I stare at the girl in the cell opposite mine. Mona, she calls herself. A witch born without magic. There is much about my past that I have never revealed to anyone. Nobody knows that, before I lost myself, I was a physician's apprentice. I have witnessed countless human illnesses. But I have lived for centuries and never come across a vampire being sick with anything other than his own darkness. I'm staring at my blood on the floor and a raging migraine is taking hold of me. 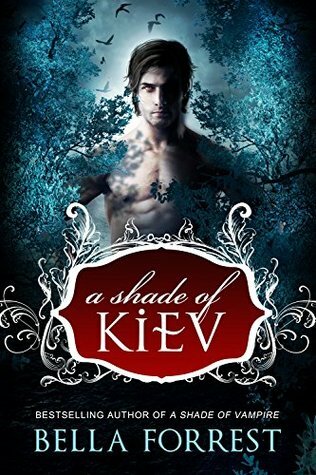 The greatly anticipated finale to Kiev's stand-alone trilogy! After all that's happened, I thought I was past being surprised by Mona. But standing here by the lake, I realize I've barely scratched the surface. Her soul is blacker than I could have imagined. I thought I sought redemption. Matteo's words ring in my ears: "Of creatures who inhabit the darkness, there are two types. Those who revel in it, and those who fight to escape it." Which am I? Or which do I choose to be?